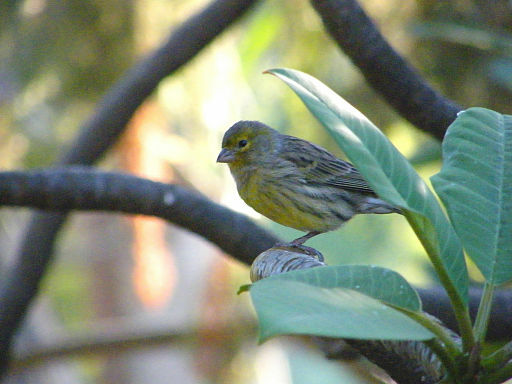 Canaries are members of the finch family, and exist in both wild and domestic breeds. Singing: Like other birds who sing, canaries do so during mating season, which is spring. In southern California and other areas where spring temperatures tend to exist year round, canaries can get confused. This can mean they will sing year round. If a canary stops singing in a region where there is perpetual spring, this can signal there is a health problem. However, if your canary stops singing, it is not necessarily a signal of a physical or mental health problem – it is normal for canaries to stop singing where climates have a true fall season. Note: often people have only one canary and if this is a male, he may continue to sing year round to attract a mate. Moulting: Moulting, or natural loss of feathers, too, is connected with seasonal changes. In areas with true seasons, canaries moult in the spring. In perpetual spring climates, canaries can moult for too long, and should receive attention from the vet. In regions with seasonal changes, if your canary moults for a prolonged period, again, this is a signal to take him to the vet. Fluffing: Canaries are like other birds in this regard. Some fluffing of feathers is normal, but if they continually fluff up, there is something wrong, and you should bring them to your vet. Other signals to watch for in your canaries: Again, as with other birds, if your canary shows a decrease in appetite, starts acting lethargic or sleepy, shows a change in droppings, water or food consumption, it’s time for the vet. The Lily Sanctuary lists a number of resources you can turn to for rescue and sanctuary care for parrots and other birds, both in the Southern California area and in other parts of the United States. Please check the general info on the bird care page “When is it time to go to the vet?” for more information on signs of health and behavior to watch for in all birds, including canaries, that mean your bird may need to go the avian professional, or vet.